Build mobile apps without any technical experience. The Eazi-Apps platform has been designed for anyone with basic computer skills. Select features, add content and update the appearance. You can build apps for businesses that increase sales and reduce costs. Publishing just one app per week can generate an income of $160,000 in your first year. Starting a new business can be expensive and time-consuming. Join our established network of 200 partners and benefit from a ‘Business-in-a-Box’ solution. Access the Eazi-Apps live training program, video courses and one-to-one mentoring. Promote your new business online with a dedicated Eazi-Apps website. Launch with case studies, testimonials and print marketing. You can trade under our global brand. There are officially more mobile devices than people in the world. 8 out of 10 businesses do not have a mobile strategy in place. Help local businesses get ahead of the competition. Profit from the fastest growth market in history. "I had been considering starting my own business for some time. I just couldn’t find something that interested me. I also didn’t want to start a business that had huge setup costs. I wanted something that I could start from home and grow. 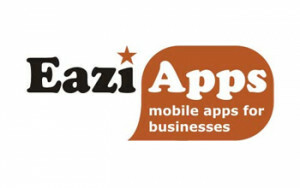 "The support I have received from Eazi-Apps has been excellent. After making contact they provided me everything I needed. Financial forecasts, example apps and a live demonstration of the platform. They answered all of my questions and nothing was too much trouble. "I’ve been running the business now for 6 months. The technology is genuinely easy to use and I can build an app in a few hours. The training and marketing support has been fantastic. I found the mentoring really helpful. Support from a successful Eazi-Apps partner made all the difference.